Establishing lucrative streams of passive income is the ultimate goal that many aspire to in their hopes of achieving great amounts of wealth. However, most people quickly realize that passive income takes more work than you might think if you plan on making any real money at your chosen endeavor. Sure, you can find ways to generate income without putting too much work into the task, but you will also find that the less work necessary, the less profit you will yield. There is a myriad number of ways to improve your finances while you sleep with passive income. Investing is one of the most popular and potentially profitable ways to bring about increased revenue. The work comes in finding the right investments that minimize risk and yield higher rewards. Sounds easy enough, right? Unfortunately, markets fluctuate, investments lose value due to unforeseen circumstances, and even the most savvy and informed investors can take a pretty hard hit resulting in dramatic losses of capital. Some investors have specific investments they prefer over others, relying instead on property investment instead of stocks and bonds. More investors prefer to put their money to work by lending it out to others who promise to pay it back with interest in today’s peer to peer economy. The first rule of passive income is that it is rarely passive on the part of the investor. Sure, once you’ve made an initial investment you can’t do much else except monitor and analyze the progress that investment is making (or not making, as the case may be). For those who have purchased property with the intent of renting it out, there are still plenty of matters you need to address and handle as things can break down, tenants become unhappy for whatever reason, or they cause damage to the property that you then need to repair or replace. The second rule of passive income reminds us of the old adage that you need to have money to make money. 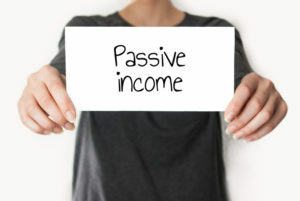 Most tried and true methods of passive income require some sizable initial financial investment up front which should then bring about a solid return on that investment over a course of time. Some methods are going to require longer periods of investment than others, and along with money comes an investment of your time as well. Having plenty of both can help bring about sizable amounts of additional revenue that can go directly into your pocket if you make the right moves. You’ll need to be willing to get creative. There is a wide range of ideas out there, some that other people may not have even thought up yet and some that countless others have tried before you. The amount you make is all dependent upon your tolerance for risk, your unique financial goals, and the extent in which you are willing to work to establish and maintain those streams of passive income that you have identified. Don’t be fooled by the word “passive”, you will be expected to work hard to make this money. The benefit comes in the fact that these streams of revenue will be consistent and ongoing without much other input or involvement on your part once you’ve put in the initial investments of your time and/or money. Remember, you get out what you put in. Now it’s up to you to decide how much you want to invest (time and money) and in what capacity. To help you figure that out, we have ten passive income ideas that you can start today and get you on the road to financial success much quicker than you may have even imagined. Investing incorporates risk. We all know that. Investing your hard-earned money into the stock market is often the first thing most people think about when they are considering methods by which to generate considerable amounts of passive income. Sounds pretty easy; you just contact your broker to inform him or her that you want to buy a certain stock or put money into bonds and just sit back and watch the cash roll in. Unfortunately, it doesn’t exactly work that way. You need to consider a number of factors before you make any decision, such as how much risk are you willing to take on. How much money can you lose and still be sufficiently solvent? Analyzing your financial outlook takes some work and it will help you strategize a plan for investing. Next, you need to determine which investments are right for you. Putt in the time and effort necessary to research which stocks are performing well and which ones are not. Talking to an adviser can help you decide what moves to make in order to get as much return as possible on your money. Playing the market usually involves stocks and bonds, both of which have varied rates of return. Stocks, on average, have brought a 6% to 8% rate of return over the past 20 years. That increases to 12% if you consider how they have performed over the last 50 years. Where stocks come with a higher degree of risk, bonds are often a safer bet. Of course, with that being said, their rate of return is traditionally lower. Conversely, you don’t see bonds dip as dramatically when they’re not performing up to expectations, either. Bonds are the ultimate in passive investing as they are best suited for investors who want to keep their money in one place for long periods of time and still see around 4% to 5% return on their capital. If you prefer to go the route of low risk for modest reward, then consider putting your money into a Certificate of Deposit (CD). This investment vehicle is a good way to establish a stream of passive income without worrying about losing any wealth no matter what might be going on in the market. A Certificate of Deposit is one of the safest places to put your money, particularly for the long term. CD’s are available by calling your broker or contacting your bank or credit union and selecting the length of the term that you would like to invest your money. You agree to leave your money with the bank in exchange for a higher interest rate than you would otherwise see if you simply opened up a savings account. In essence, you are giving a bank or lending institution a loan for which they will pay you interest. The great thing about CD’s is that they come with fixed interest rates, so once it’s set it remains the same for the length of the term. It can never change or decrease, so it only makes sense for you to commit that amount of money for an extended period of time. Allowing the account to mature fully is about as passive as it gets. You’re guaranteed to see all of your initial investment back in full, along with any interest that accrued during the length of the term. Make sure not to take that money out before maturity, though, otherwise you could be charged penalty fees for early withdrawal from the account. There are a number of different types of 401(k) plans out there. Contributing as much as you can, especially if you have an employer that is willing to match your contributions, is a great way to generate some passive income. But how is this passive income if you are working for yourself or another employer? Isn’t passive supposed to mean NOT working or putting any effort into the process? If you would refer to the top of this article, it clearly states that passive does not in fact mean you will not be expected to put any time and effort into this endeavor. Depending on the type of work situation you have, be it self-employed or working under another person, a 401(k) is a vital component to saving for retirement. This is as valid a reason as any to be squirreling away money at any age. You don’t necessarily have to be working full-time to invest in a 401(k), either. You may work as a consultant on the side while continuing to work part-time for another employer. You can still have a 401(k) with the employer for whom you work 20-30 hours a week and generate enough revenue to contribute to the fund while also getting any matching contributions that you may be eligible for with that firm. This is free money and you should make the most of that arrangement. An investment retirement account (IRA) is another means for generating passive income while enjoying some pretty sweet tax breaks in the process. These differ from 401(k) plans because while both types of accounts involve investment in a variety of financial vehicles, IRA’s put more control over what types of investments are made in your hands. 401(k)’s are limited in their investment options while IRA’s run the gamut of possibilities far more than just simple stocks, bonds, and securities. These accounts can also tap into index funds, mutual funds, CD’s, cash, or pretty much anything you wish the exception of options and derivatives. IRA’s are also helpful because there are no minimum deposit requirements and you can manage your account online or through a mobile app with just a few taps. It doesn’t get much easier than that. An IRA is also a great option for growing your money when you don’t expect to need it anytime soon, as you could face a 10% penalty along with federal taxes on any money you withdraw before the age of 60. This is important because many investors turn to IRA’s to grow their wealth because these are tax-deferred accounts. You’re not paying any taxes on the money you’re making in an IRA until you withdraw it from the fund. There are exemptions for early withdrawal before you turn 60, for things like college tuition of taking out the maximum $10,000 allowed to put towards the purchase of your first home. Under the rules, those reasons for withdrawal are not taxed. Depending on the type of card you own, the types of rewards you earn, and extent of those rewards relative to what you spend and how much, you can get a pretty decent return on the purchases you make with your credit card. Every major bank has some kind of benefits program to reward a customer for keeping their card in his or her wallet. 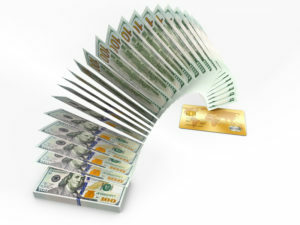 We all use credit cards, why not get paid to use them? Especially if the rewards that are being offered come from the things you buy the most! The top cards will give you anything from 1% to 6% cash back on the money you spend on at the register. Some cards offer higher bonuses along certain categories, so while you may get 1% back on any purchase you make with your rewards Visa, MasterCard, or American Express, you can get 3% or 6% in return when you buy gasoline, groceries, or go out to eat at a nice restaurant. Different cards have varying bonus categories and some cards have shifting categories so each month brings something new to get additional cash back on when you swipe at checkout. That’s not all; cash back rewards cards also give you additional cash incentives like sign-up bonuses and extra rewards if you spend a certain amount of money in a specific period of time. One of the biggest myths about passive income is that purchasing property is among the easiest ways to generate that type of revenue. Unfortunately, it’s just not the case. However, it can be a highly lucrative passive income stream. You’re just going to need to do a little more work than most people expect going in. If you’re ready to roll up your sleeves, at least in the initial stages of the process, there’s money to be made here. There’s also a considerable amount of risk involved as owning property comes with potential dangers in many forms. If you’re buying in order to flip the property, then you’re at the mercy of the fluctuations of the housing market. Plus, you are taking a risk in terms of potential pitfalls that come with the amount of time and money you could invest in making repairs and improvements just to make it suitable for putting on the market in the first place. Obviously, the reward can be impressive in selling the home for a profit. However, you need to be cognizant of additional factors such as location, the surrounding neighborhood and vicinity, the condition of other houses in the area, and current resale prices. Then what if it doesn’t sell? That’s a whole other problem you could be dealing with and that can mean loss of capital. If you’re planning on purchasing to rent the property out to tenants, that comes with additional issues that often need to be routinely addressed. If something breaks down or needs repair, that’s your responsibility. There’s also the matter of collecting rent from tenants, checking credit histories, and maintaining the building so that it meets certain regulations for inhabitable dwellings. What if those tenants cause serious damage to the property for any reason? That will need to be fixed. How about if the property remains empty for a long period of time? That means you’re not making any income on it and that could cost you more than missing rent checks. Once all is said and done and you have tenants signed to a lease for one year or more, the commitment on the property owner’s end becomes lessened until a problem arises. For all the risks, there is definitely great reward in owning property. If you’re able to manage all the potential pitfalls that come with purchasing real estate, whether you plan to flip or keep as a rental property, you can rest assured this can be a significant money-maker for you in the long run. In addition, you may qualify for tax breaks that come with owning property and borrowing money to make the initial investment in that property. Getting into annuities can be a challenge because they can be a bit complicated to fully understand. For those who are willing to put in the time to research and understand what they’re all about, this can be a steady passive income stream with high upside. Again, like many of these ideas, it’s going to require you to put in a sizable chunk of change in order to make any kind of real money in the deal. These work in a similar fashion as other retirement accounts where you put in an initial investment of capital all up front or over a number of payments under the terms of a contract that you agree to with an insurance company. Once you reach a certain age, you can begin to receive disbursements from the company where each payment incorporates the principle you first paid out along with any applicable interest that money earned over the period of time that the company was keeping those funds. There are three types of annuities: fixed, variable, and indexed. Each one comes with its own expected rate of return based on how the annuity is formed and the capital invested. The term “peer-to-peer” has taken on so much greater meaning as of late with the economy embracing this arrangement in many businesses, such as Uber and Airbnb. However, instead of offering consumers (strangers) a ride in your car or a place to crash in your home, you can also lend money to people through a number of websites that connect those who need a loan with those who are willing to lend money. This way, instead of the bank or some other financial institution making money from interest through lending, you can profit from the same type of transaction. Web-based peer-to-peer lending portals such as Lending Club, Prosper, and Freeform attract borrowers and investors who are looking to do deals with one another often at rates that are competitive with more traditional lending institutions. As a lender, all you need to do is set up an account, put up an initial deposit and then you can decide where that money goes and to whom. There are pros and cons in good measure with this type of passive income in that you can make good money from high interest rates (typically around 8% to 10% each year). However, if a borrower defaults and the loan and doesn’t pay you back, that money is lost. So you’ll want to strategize carefully when deciding on who gets to borrow your funds. Most sites suggest you make many small investments and have many loans out instead of putting all your money into one or two of them. This way you minimize risk and generate more income from interest. You’re not going to make a fortune here, but you can establish a steady stream of passive income from putting an investment in vending machines. The more you own, the more money you can make. If you think about, these machines are everywhere. 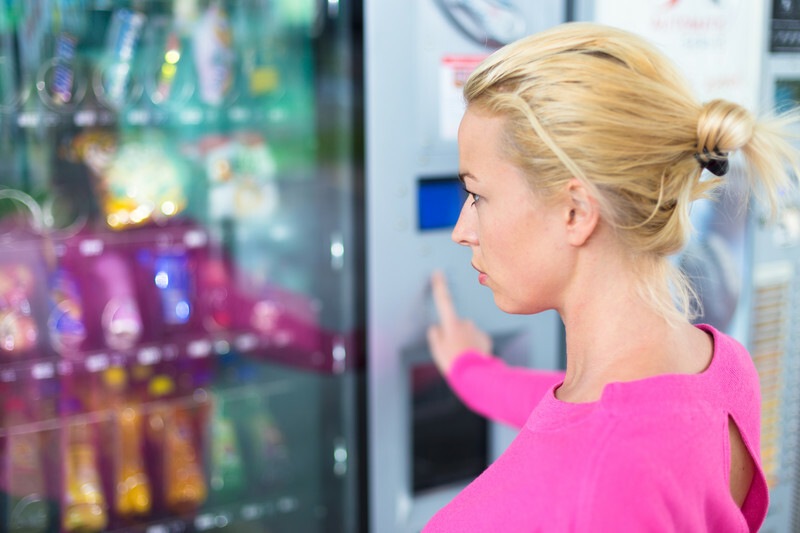 Break rooms, waiting areas, rest stops, outside of retail stores, you name it. All you need to do is make sure you find a good high-traffic area and the machine does the rest. The right location and setting the proper price for each purchase can equal decent income from your principle. Most machines can yield about $25 a month, but some locations can be more successful than others. Even at that conservative number, you’re still pulling in $300 a year. If you have 10 machines, that’s $3000 annually. Not a lot of money but you’re also not putting in much time and effort to put that money in your pocket. Royalties are one of the best forms of passive income because you literally do nothing to receive them. Well, except for writing that book or song or movie that is generating those royalties. So while there is a significant time commitment up front, you need to sit down and create the material first and that could take some time, the money you can make from over time can be pretty incredible. This type of work can also be more fulfilling for those who fancy themselves artists and when work doesn’t feel like work at all, then that’s the best possible scenario. These are just some of the most common forms of passive income and there are more that you can research and potentially pursue. Remember, no matter how lucrative or attractive it sounds, you will need to put in some kind of time or monetary investment first to make sure you get the most income out of that revenue stream. These are also not get rich quick schemes, either. By their very nature, these are all ideas that require varying lengths of time to get the most income from your investment. If you approach these ideas with that in mind, you’ll be far more successful at whichever endeavor you ultimately choose.